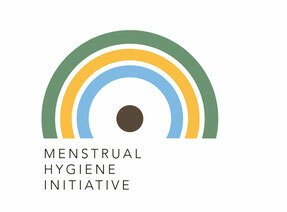 Menstrual Hygiene Initiative - ascend-globals Webseite! 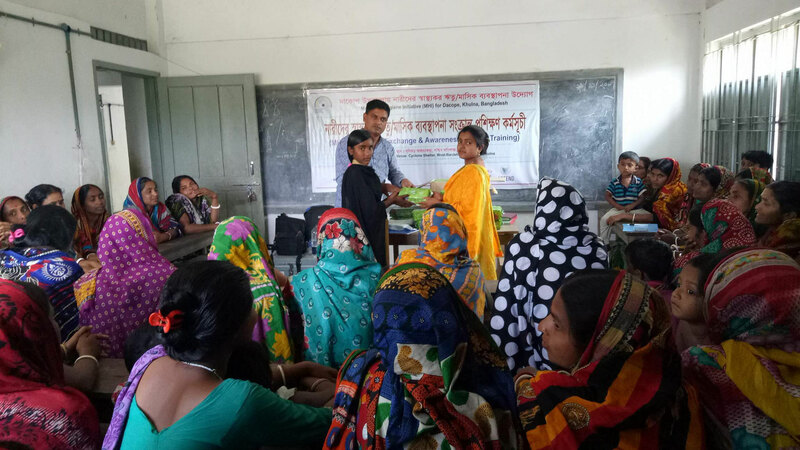 Informieren und spenden: „Menstruationshygiene für Mädchen und Frauen in Bangladesch“ auf betterplace.org öffnen. Huge taboos and superstitions on menstruation. Extremely conservative society. High level of poverty and low education level (<30%). 97% women are not using sanitary napkins. Cloths or rags from old saris are commonly used. Menstruation cloths are not dried properly. Always hide from other family members. Limited access to sanitary facilities (no nearby market is available in their reach). Men are very much uncommon to buy sanitary items for women from market / city. It is also very unusual for women to go market alone. 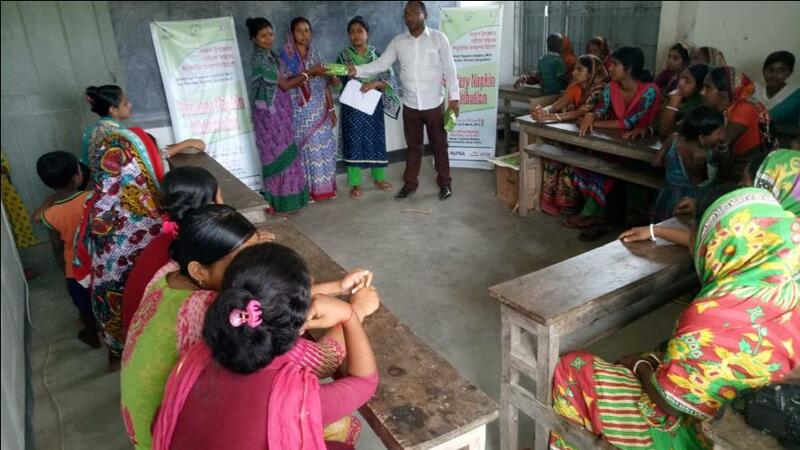 In cooperation with our partner organisation RUPSA, ASCEND is planning a new round of awareness rising projects in ten additional villages in the region and the establishment of small village stores which in future will produce the sanitary products autonomously. In doing so, the access to those products as well as job opportunities especially for women, in the production in Kakra Bunia just as in the distribution of the sanitary napkins in the villages, is ensured. Moreover, three sanitary camps shall be established in the villages Kakra Bunia, Chunkuri and West-Banishanta for treatment of menstruation-related diseases. The project costs account of approximately 15,000€; we are currently looking for donations and supporters. We set a pilot project to learn about possible obstacles and local factors of menstrual hygiene management, which we will then use to develop future large-scale projects. As part of the pilot initiative, menstrual sanitary products will be provided to the target group women and girls for first three months by ASCEND through the local partner RUPSA. A multi-pronged training program is included to ensure women's capacity building, knowledge exchange on hygiene education and bridge with the local stakeholders. Afterwards a self-reliant supply and storage mechanism will be established in the locality to ensure availability of menstrual sanitary products. The pilot phase focuses on the village Banishanta with the total costs of about 834€, resulting in a per-capita-cost of 3,34€ per person. The project is planned with a multi-pronged behavioral and awareness raising communication approach for managing menstrual hygiene leading to women capacity building, knowledge exchange on hygiene education and bridge with the local stakeholders. As menstruation is a neglected topic, women and girls in the project area do not speak out about the topic and are not involved in decision-making – for example, household decisions to build a toilet or spend money on sanitary pads. The result is a lack of facilities and services, e.g. a lack of separate toilets for girls at schools. It also results in a lack of social support and the culture of fear, shame, embarrassment and silence, completing the circle of neglect. This pilot initiative is targeted to break the ultimate circle of the silence through awareness raising, capacity building and knowledge exchange on menstrual hygiene management. In West Banishanta Village, menstruation taboos lead to serious restrictions on the daily activities of menstruating women and girls; in many, the stigma means that they cannot discuss menstrual hygiene freely. 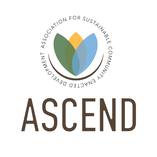 To improve the lives of women and girls, ASCEND (and RUPSA) plans to break the silence and dispel the stigma and shame by engaging with communities through participatory channels such as community theater, schools, religious interactions, and interactive training. Due to the stigma and silence surrounding this issue, women and girls, and men and boys, often know very little about menstruation and menstrual hygiene. To address this critical gap, ASCEND (and RUPSA) intends to promote menstrual hygiene education through community platforms such as schools, communities, as well as in healthcare facilities. 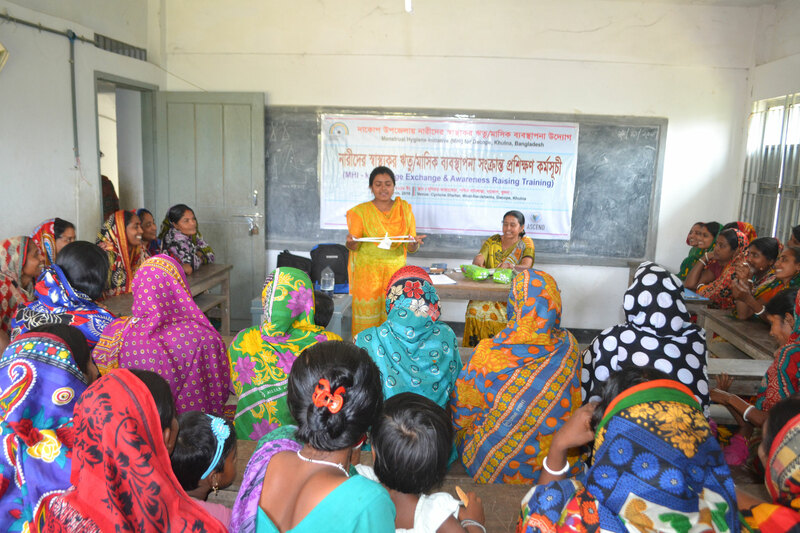 The targeted audiences could range from local government officials, traditional leaders, and community health workers who can help to reinforce important messages on menstrual hygiene throughout the community. 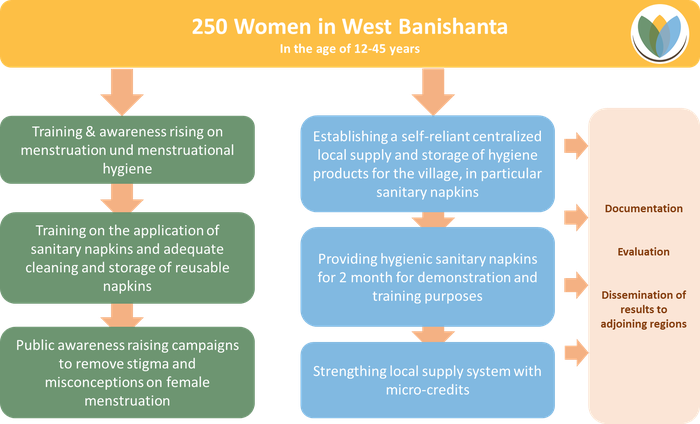 In West Banishanta, women and girls do not have access to quality and hygienic menstrual hygiene products. With this project, ASCEND wants to ensure the availability, affordability and range of menstrual hygiene products by partnering with NGO RUPSA, social enterprises and the local stakeholders. After the pilot phase, ASCEND intends to provide seed funding through partner organization in Bangladesh to help establish menstrual sanitary marts, including purchasing the materials needed to produce sanitary pads, and stocking the marts with basic menstrual hygienic supplies. a place to hang reusable menstrual pads to dry. Association for Sustainable Community Enacted Development e. V.
Please send us a short e-mail with your name and address after the donation - we will send you a donation letter immediately and inform you regularly about the project progress. In the pilot phase village inhabitants will be supplied with hygienic sanitary napkins. 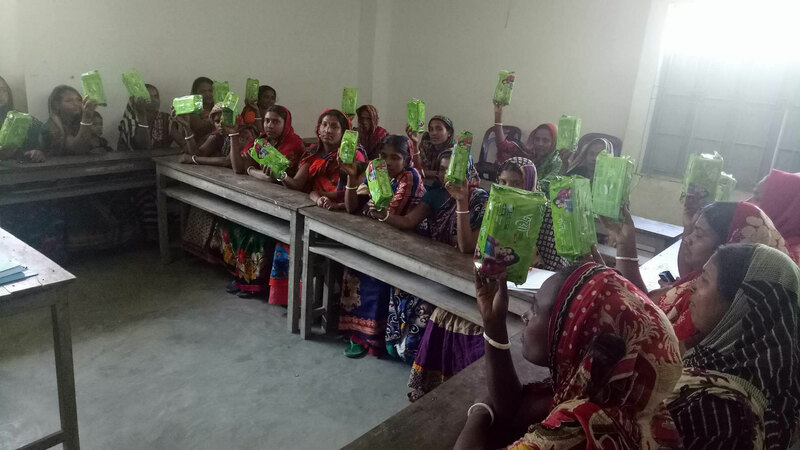 During the first two months of the project, the napkins will be distributed free of charge to the village women in reproductive age for training, comfort-ability check and capacity building. The material costs in the pilot phase thus include sanitary napkins for two months as well as transport costs from the next town to the village. The training and dissemination are carried out by ASCEND volunteers accompanied by RUPSA. Training costs are low and comprise outlays for training documents, promotional banners and food costs during the campaigns. These costs include transport costs for our helpers and organization and approval costs for the execution of the project. 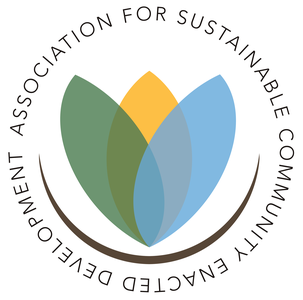 Association for Sustainable Community Enacted Development e.V.